Note: A minimum quantity of 24 must be ordered, and in units of 6 thereafter. 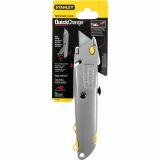 Stanley Quick-Change Utility Knife w/Retractable Blade & Twine Cutter, Gray - Quick-Change Retractable Utility Knife offers tough, long-lasting all-metal construction that can slide the blade into three positions for use. 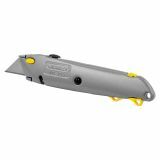 Blade changing is simplified with a tool-free, push-button design. 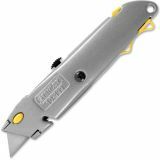 Swing-out blade storage keeps fresh, sharp blades safely in the palm of your hand within the 6 handle. 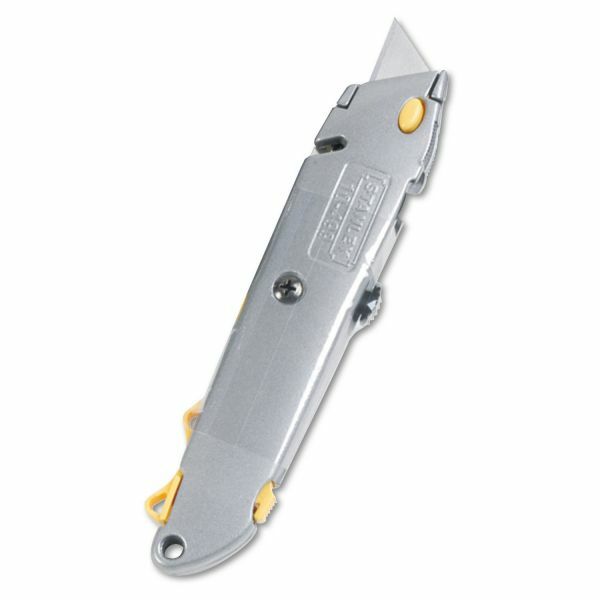 With blade fully retracted, the nose of the utility knife acts as a string cutter. Knife includes three heavy-duty blades for immediate use."